Heads-up: There's a new documentary about Zara coming soon. Refinery29 reports that the film, dubbed Zara: The Story of the World's Richest Man, will be released this fall and will offer a look "at the inner workings of the fast-fashion giant." It will also chronicle the career of the retailer's founder, Amancio Ortega—you may recall that he earns a staggering $761 per minute. Refinery29 got a first look at the film and divulged the most interesting tidbits. Our favorite fact? Per the documentary, Ortega's first business venture was creating a very unexpected item: bathrobes. He and his future wife created a more affordable version of the ones sold in the boutique where he worked. And so began his career of creating accessible fashion—who would have thought? Head over to Refinery29 to see what else the site gleaned from the documentary. Scroll down to shop our favorite Zara picks right now. 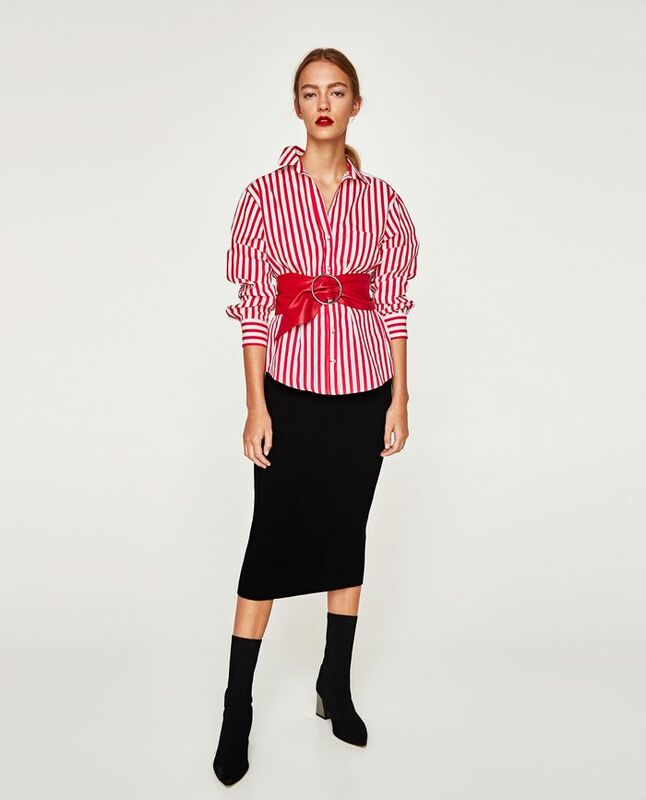 Make a statement in bold red stripes. You can never have too many black slip dresses. Yes, midi dresses are still cool. Polka dots and a bow—does it get much cuter than that? Want more affordable fashion news? Shop the $65 sneakers Selena Gomez wore to her post-birthday brunch date.